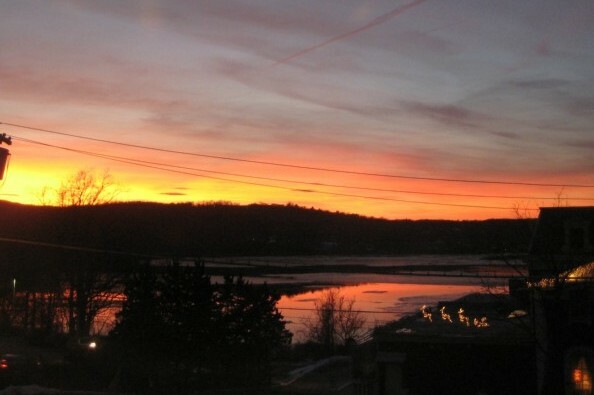 Help save one of the last open river views in Dobbs Ferry! COME TO THE HEARING ON MAY 14 AT VILLAGE HALL, 8PM! The developers of 19 Livingston Avenue want to cram two mammoth 3.5-story buildings -- 45 feet high x 141 feet wide, comprising over 37,200 square feet with 12 three-bedroom condos -- onto a small 1.29 acre site where Rudy's Beau Rivage once sat. They want to eviscerate the views of the sunset and Hudson River. 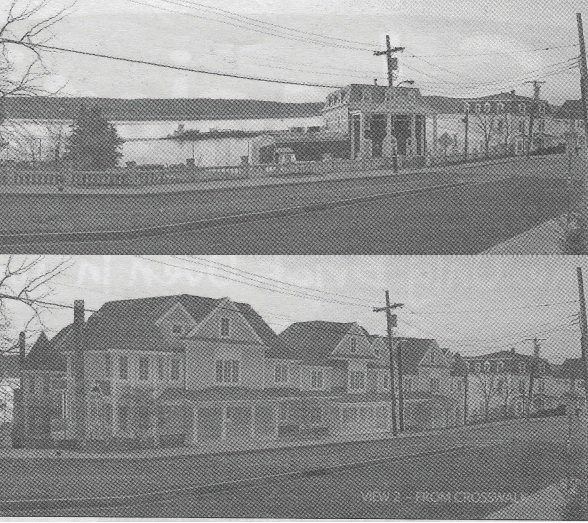 The intersection at Livingston Ave and Broadway is the gateway to Dobbs Ferry and Main Street. Hundreds of people walk by daily and enjoy the open views. Help me preserve it! I have personally spent thousands in legal representation to date, which has proved to be immensely valuable in pointing out legal flaws in the developers' case before the Zoning Board of Appeals, a quasi judicial board. I need your help to finish the fight! At this point I am looking to raise $3,000 to contribute toward the cost of the Zoning Board of Appeals process and if necessary the appeal to State court, with the goal to simply require the developer to comply with the Zoning Code and the Vision Plan. Dozens of Dobbs Ferry residents have voiced their serious dismay about the proposed development, which follows a long line of examples of over-development in Dobbs Ferry (just one example of which is the Planning Board requiring Walgreens to add a second level to their proposed plan). I'm the only one who has mounted a legal challenge to the Livingston developers; otherwise they would have faced no opposition at their last hearing on March 12. Perhaps that is because the applicant has not notified the residents as required by the Zoning Code, and most residents have no idea what has happened up to now. Thus far, the Zoning Board members have listened carefully to the arguments of my attorney, but they have allowed the developer a last chance at demonstrating that they can't comply with the Code (the main issue under the Code is whether it is not feasible to comply with the "sky exposure plane" limits pertaining to the height of the buildings in relation to the property line). The hearing was scheduled for April 9th at Village Hall, but the developers failed to show up and did not give our attorney a courtesy call. Many people showed up in opposition to the development, so let's show that even more will come for the next hearing on MAY 14, 8pm at the Dobbs Ferry Village Hall (enter at door facing the municipal parking lot). Please come and let your opinion be heard! The more people we get, the bigger statement will be made. This story is getting great coverage in The Rivertowns Enterprise. Thank you again for your support of this very important effort to preserve river views at the southern gateway to Dobbs Ferry. The fight has continued since our victory at the May 2014 hearing. At that hearing, the ZBA agreed that developers' encroachment of the Sky Exposure Plane (SEP) did not fit the conditions for waiving such requirement. Recall that the developers had appeared before the Architectural & Historical Review Board (AHRB) on that very narrow SEP issue and therefore appealed that one issue alone. Next, the developers submitted a new plan that was modified to meet the SEP requirement. So the AHRB reviewed the new plan for compliance with the other issues in its purview, such as (1) excessive dissimilarity compared to the surrounding homes, (2) excessive similarity of each proposed condo unit to the others within the developers' plan, (3) consistency with design guidelines for Dobbs Ferry, (4) code requirement that there should be harmony with the neighborhood, and (5) guidelines of the Vision Plan and Local Waterfront Revitalization Program. On all of the above grounds, the AHRB found that developers failed to comply. Developers appealed again to the ZBA. So there we went again on December 10, 2014, arguing for the ZBA to affirm the AHRB's decision. They almost did, but then adjourned the hearing at the developers' request. The developer didn't agree to continue the hearing again until February 11, 2015. At that hearing, we argued passionately that the new information submitted by the developers since the last hearing (including, for example, an appraisal that rebutted our appraisal showing the loss of view would lower the value of my home and the Brose home) failed to overcome the standards in the code. And very fortunately, the ZBA agreed with our arguments! Amazing victory and it was so hard fought! We are forever grateful for your contributions. Without great legal support and expense, we would not have given the ZBA enough evidence to find in our favor. Your contributions have truly gone a long way. Now the developers won't be able to get a building permit, so if they wish to move forward, they must submit a new conforming plan. 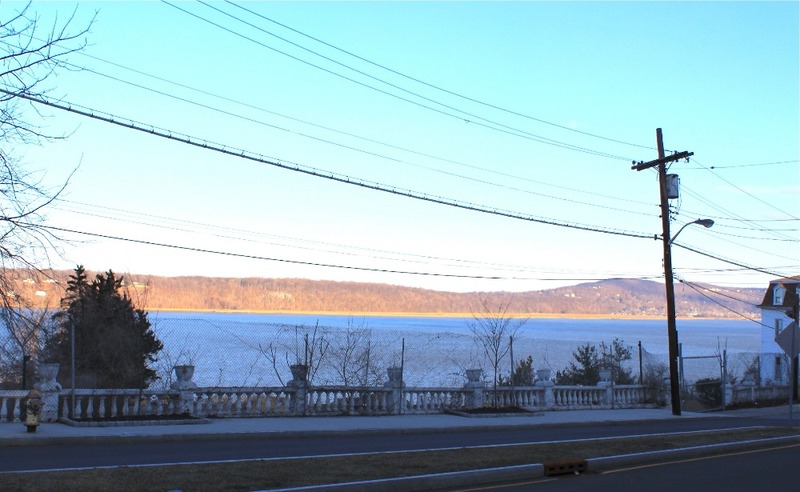 This critical southern gateway to Dobbs Ferry with historic significance is saved for now! Great work, Anna-Lisa. You are a gem to your community. I support your effort wholeheartedly. Let me know if you need more funding.